As an aspiring photographer in 1850, one would be faced with a choice of two avenues to pursue, the daguerreotype process or Talbot’s calotype process. Daguerre’s process offered extremely detailed positive images, but the limitation of only one-off image production; each image produced was a non-reproducible original. Conversely, the calotype yielded softer, less sharp negative images, but one that could be used repeatedly to make multiple positive copies. The new challenge then was to combine the strengths of these two processes while eliminating their shortfalls. This was the dilemma facing Englishman Frederick Scott Archer (1814-1857), a sculptor who had been using calotype portraits to facilitate his sculptural work. 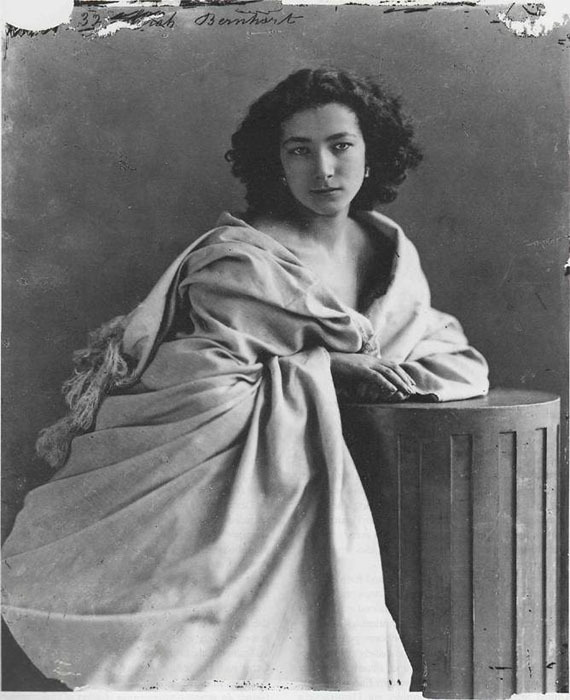 Archer realized the limitations imposed by paper as a carrier for the light-sensitive emulsion; even papers made translucent by waxing still softened the captured image, and transmitted the paper’s textures to the image. Archer realized that a better carrier for the emulsion would be glass, but the light-sensitive chemicals would not adhere directly to glass; a binding agent, obviously clear, was required. He experimented with alternative carriers for the emulsion, with some of the greatest promise being seen with albumen. Albumen was simply transparent egg whites, imbued with iodine or bromide solutions. A sheet of paper or glass could be coated with albumen, and after drying be light sensitized by coating it in a silver nitrate solution and drying. Unfortunately, Archer found the albumen coating on glass too fragile to withstand even careful handling. Fortuitously, a new material, just invented in 1846, provided a more workable option. Collodion had been developed as a medical dressing and was used as such in the Crimean War. collodion was created by dissolving explosive guncotton, or nitrocellulose (ordinary carded cotton soaked in nitric and sulfuric acids, then washed and dried,) in a mixture of ether and alcohol. The resultant viscous and transparent liquid could be used as a surgical dressing and to hold bandages in place. More to our interest, when combined with small amounts of iodides and bromides, collodion could be used to coat a glass plate with a clear gelatinous layer to which light-sensitive silver halides might adhere. While the collodion could be allowed to dry to a thin clear film, Archer found that if used while still wet its light sensitivity was greatly increased, making short-exposure time photography feasible. This requirement to prepare, expose, and develop the sensitized plate before the collodion and silver coatings dried (less than 10-15 minutes) is why this method is referred to as wet plate collodion. Archer was not the first person to consider the use of collodion for photographic purposes. Robert Bingham suggested its use in his 1850 book Photogenic Manipulation, and Gustave Le Gray published his formulas for its use in his 1850 paper on photographic methods on paper and glass. However, while these were mainly theoretical treatises, Archer introduced tested and working examples of the process when he published his findings in 1851 in The Chemist. Interestingly, in this early publication, Archer initially advocated for the removal of the dried collodion film layer from the glass plate after development, allowing the glass plate to be used for another image. His later process kept the collodion layer intact on the glass carrier. Archer subsequently published The Collodion Process on Glass, a manual on his process, in 1854. The collodion process actually offered the photographer three options: (1) a glass-plate negative; (2) a glass-plate positive, or; (3) a metal-plate positive. The glass plate positive was made by bleaching or underexposing the negative plate, and then backing it with either black cloth or paper, or coating the back of the plate with black lacquer. This yielded a positive image much like a daguerreotype, but without that type’s mirror finish. These positives were termed collodion positives in the United Kingdom, and ambrotypes in the United States, after James Ambrose Cutting took out several patents for the process in Boston in 1854. These ambrotypes were typically displayed in protective cases much like daguerreotypes. 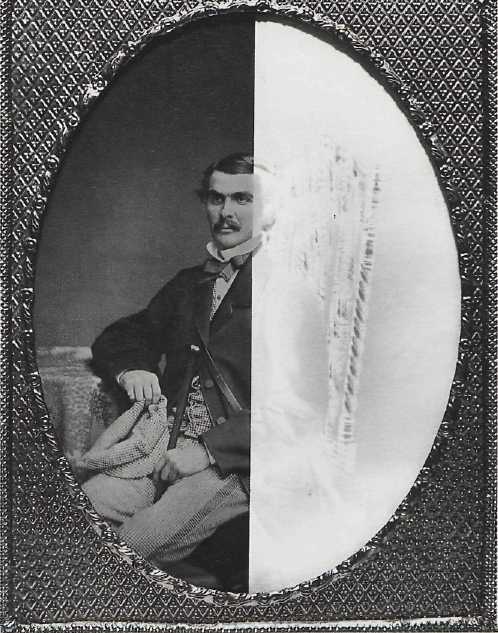 Ambrotype with backing partially removed to show positive and negative effect. The metal-plate positive was produced by substituting a black lacquered or enameled thin iron sheet for the glass plate as the emulsion carrier; the resulting positive image was termed a tintype, also known as a melainotype or ferrotype. These types of images proved extremely popular for their low cost and ruggedness versus glass plate images; a tintype could be inexpensively made and then simply placed in an envelope for shipping without fear of damage. The limitation of the positives, of course, was that they could not be used to make copies of the image. 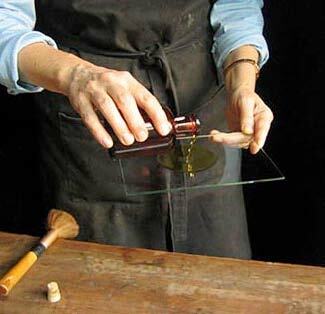 Collodion mixture is poured evenly onto a clean glass or metal plate. In a darkroom, before the ether and alcohol evaporates from the collodion, the plate is immersed in silver nitrate solution for several minutes, allowing silver nitrate bonds with the iodides and bromides in the collodion. Light-sensitive plate is placed in light-proof plate holder and then loaded into the previously focused and prepared camera. The exposure is made – wet plate collodion displays a light sensitivity about equal to ISO 5. Plate holder is returned to the darkroom and exposed plate is removed. A developing solution of iron sulfate, acetic acid, and alcohol is poured evenly over the collodion side of the plate. The image forms within about 15 seconds, and excess developer is then washed away with water. The plate is removed from the darkroom and fixed in a tray of sodium thiosulphate (hypo) to remove unused silver halides and then again washed. Using a low flame, the plate is dried and then coated with a protective varnish while still warm. The resulting negative could then be used to contact print permanent positives employing either salt-based, albumen, or collodion printing papers. The main disadvantage of the wet collodion process was the extremely short working time available between sensitizing and developing the plate – this normally needed to be done within about 10 minutes. This in turn required that a photographer have essentially a darkroom on site to make photographs. This did not pose any particular problem for studio work, but for work in the field it necessitated some sort of portable darkroom. The process of working with a plate coated with wet collodion and then dripping wet silver nitrate solution was also messy and potentially damaging to equipment. Collodion-based photography was also only sensitive to blue light; all darkroom work could be done under red or dark-amber lighting. However, in collodion images warm colors appeared dark, and cool colors were difficult to separate tonally. As a result, it was almost impossible to render clouds in skies. Albumen print from wet plate. Despite these disadvantages, the wet collodion process proved extremely popular, offering high image quality and replication capability for a relatively low cost to landscape, architectural, portrait, and art photographers. 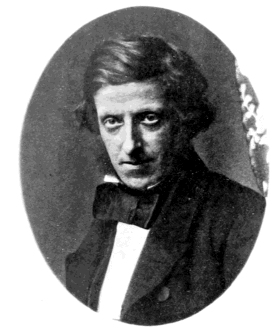 The generous nature of the process’s founder, Frederick Scott Archer, described in the British Journal as “a man of very obliging disposition,” ensured the wide and unencumbered dissemination of the details and techniques for the process, lowering the technical hurdles for interested parties. This generosity, unfortunately, did not serve Archer’s personal interests well. Always a somewhat sickly man, he died essentially penniless in 1857, just six years after introducing the collodion process to the world. Today almost unknown for his contribution to the art of photography, Archer’s wet collodion process served as the world standard until it too was replaced in the 1880’s by superior, more convenient technologies. This is the fourth installment of an ongoing series on the history and development of the art of photography. It is inspired by the History of Photography class taught by Professor Jeff Curto in the College of DuPage Photography Program. While not a slavish copy of his work, I freely admit to following his general course outline and sharing many of the perspectives he has developed. I would encourage anyone with a greater interest in this subject to follow his course online via video podcasts, at http://photohistory.jeffcurto.com.